Karen L. Landau has been in private practice since 1993. She graduated from Boalt Hall School of Law (U.C. Berkeley) in 1985. She then served as a law clerk to the Hon. Terence T. Evans, United States District Judge for the Eastern District of Wisconsin (since elevated to the United States Court of Appeals for the Seventh Circuit). From 1986-88 and 1989-92, Ms. Landau served with the Office of Staff Attorneys for the United States Court of Appeals for the Ninth Circuit. For approximately two years, Ms. Landau served as the Senior Criminal Motions Attorney. Ms. Landau is admitted to practice in all California courts, the United States Supreme Court, and the United States Courts of Appeals for Second, Fifth, Seventh, Ninth and Eleventh Circuits. She serves as a consultant to the National Clearinghouse for the Defense of Battered Women and has authored amicus briefs on NCDBW’s behalf. She is a member of the National Association of Criminal Defense Lawyers. 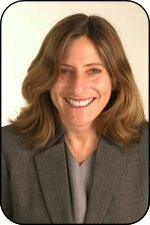 Ms. Landau also is a member of the Criminal Justice Act appellate panels for the Northern, Central and Eastern Districts of California. She is a regular speaker at appellate training seminars. Ms. Landau has handled more than 150 appeals in the state and federal appellate courts. Ms. Landau has particular expertise in criminal appeals. She has argued more than 40 cases before the United States Courts of Appeal, the California Courts of Appeal and the California Supreme Court. Many of these appeals were from lengthy and complicated trials, including the first RICO prosecution of the Mexican Mafia. She has handled appeals from criminal convictions ranging from tax evasion and complex fraud to RICO murder and drug trafficking. Ms. Landau also has handled civil appeals. Ms. Landau has handled numerous contested sentencings, including some involving complicated evidence of mental impairment, brain damage and mental illness. Ms. Landau has represented numerous defendants convicted of financial crimes and is experienced in handling contested sentencings involving complicated questions of monetary loss. Ms. Landau represents federal criminal defendants in motions arising under 28 U.S.C. Â§ 2255. 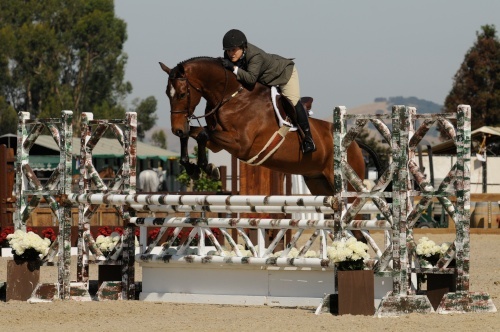 Ms. Landau is an experienced horsewoman who is familiar with the equine industry. Ms. Landau is available for consultation or representation in matters involving disputes related to horses. Ms. Landau does not handle litigation involving personal injury or veterinary malpractice.